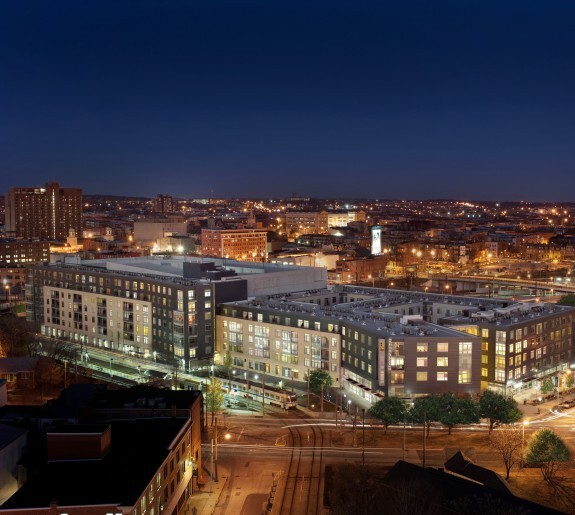 The new Johns Hopkins University development is situated on the edge of the campus and will act as the cornerstone of a broader vision to invigorate the retail ‘college town’ located on St. Paul Street in the adjoining Charles Village Neighborhood. 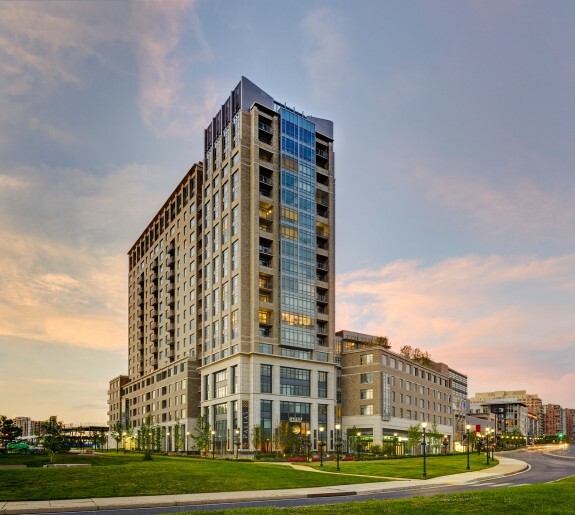 The 12 story structure is located on a 1.1 acre site and includes 157 units comprising 568 beds of student housing in predominantly 4 bedroom apartments. 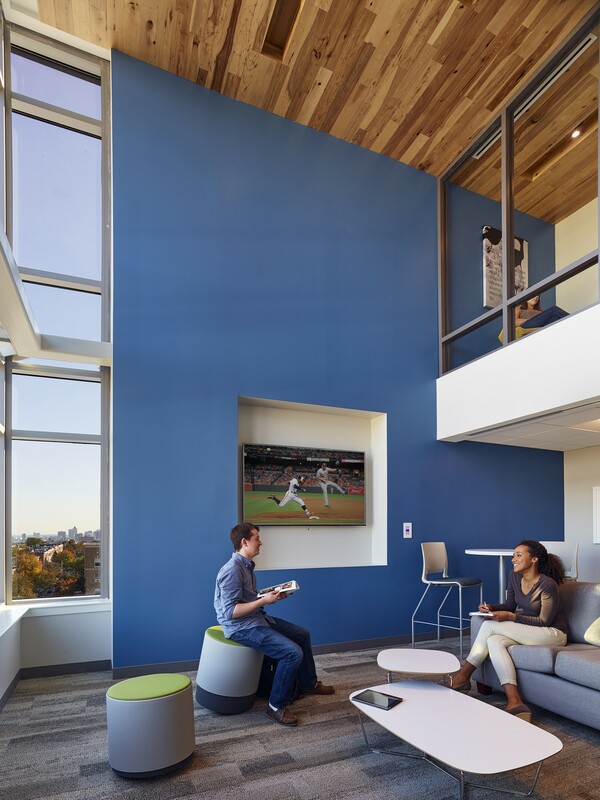 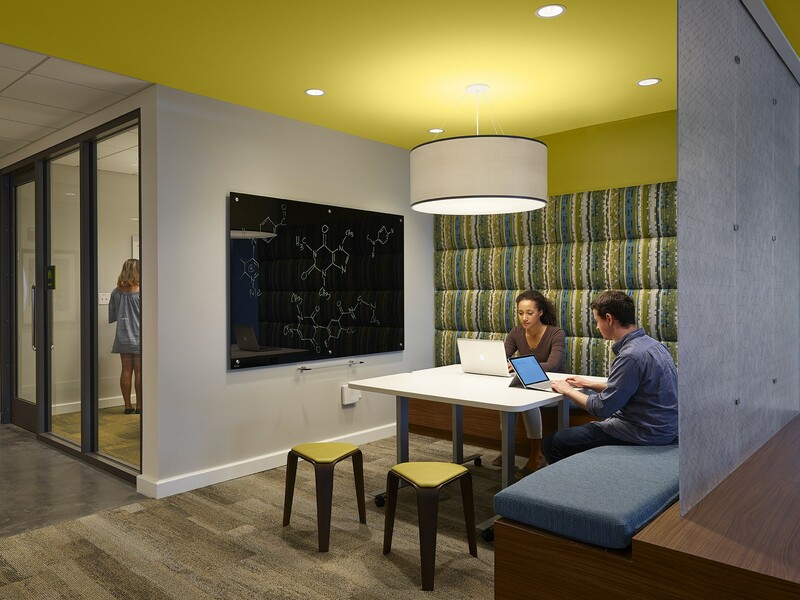 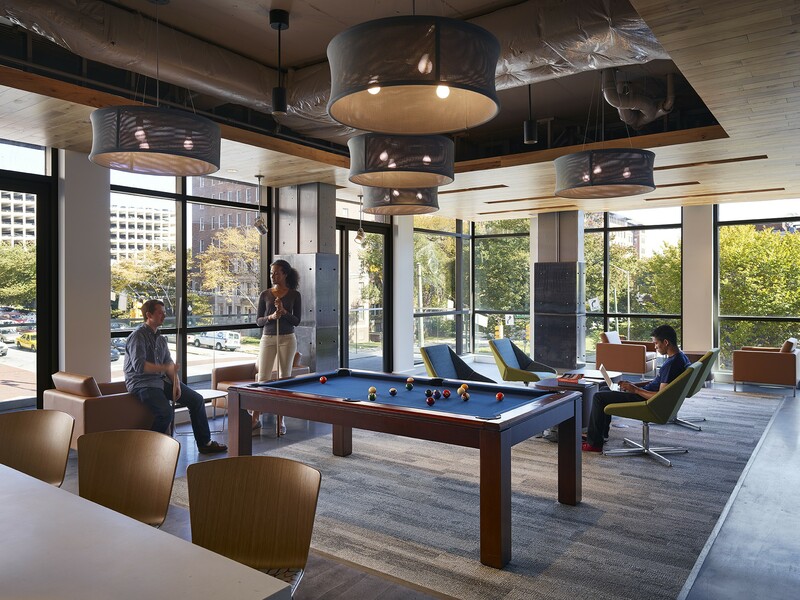 An amenity level includes a game room, fitness center, lounge and group study rooms, while sky view lounges and study rooms are located on prominent corners of the building on upper floors. 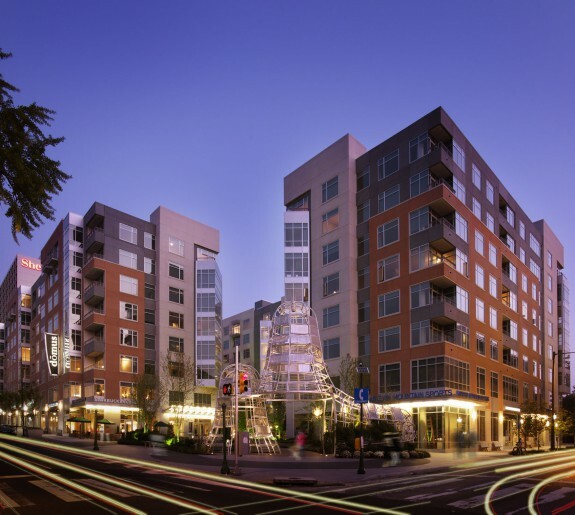 The 327,000 GSF building also includes 31,000 SF of ground level retail along 33rd Street and St Paul Street and 165 parking spaces located in an integral garage. 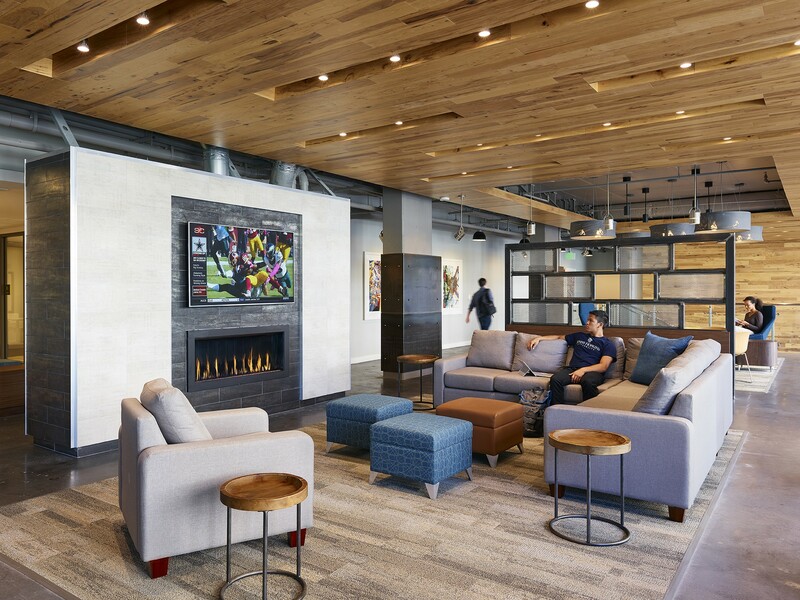 Working with $53.6 million budget and a schedule for delivery of 24 months design and construction, the design build team utilized a fast track approach to documenting the building. 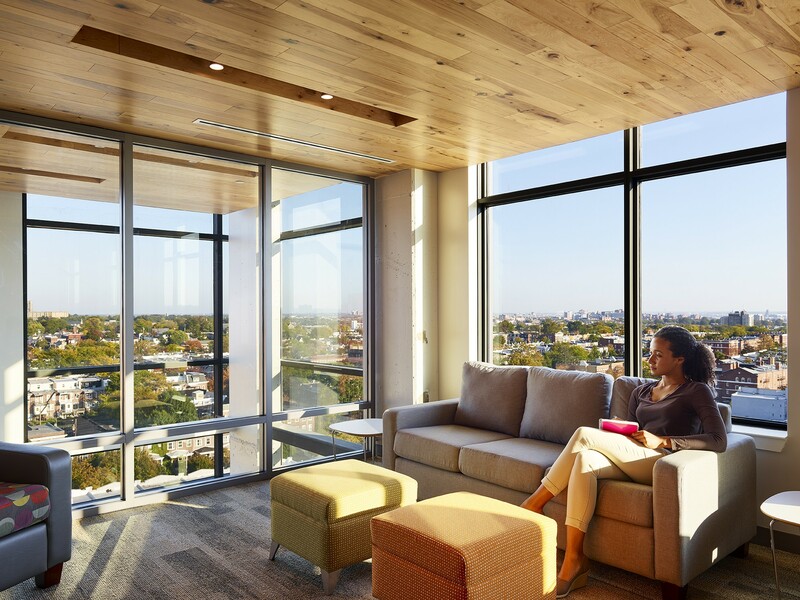 The building design reflects a consensus of community thoughts, institutional values and good urban planning as it works to transition from historic smaller scale development to a more dense urban condition. 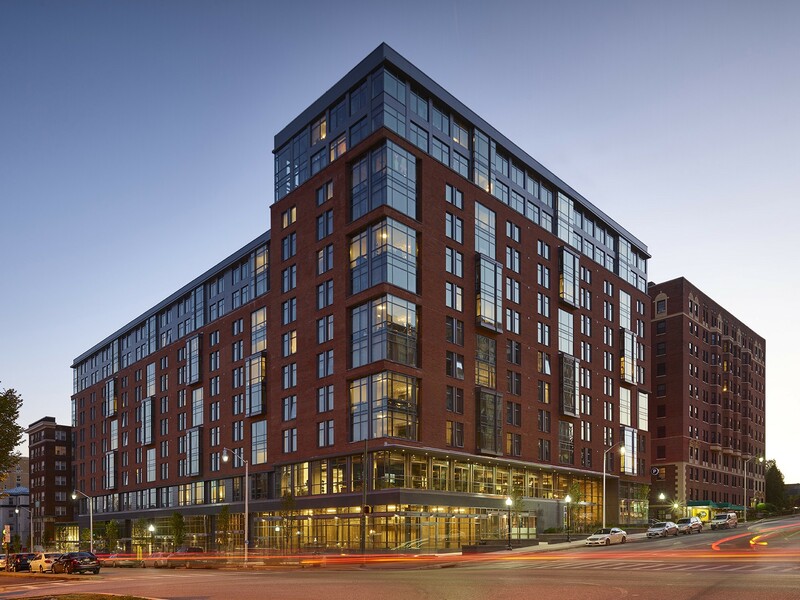 The building massing was used to emphasize the gateway to the Johns Hopkins campus along 33rd Street, while maintaining a humane pedestrian scale along St Paul Street. 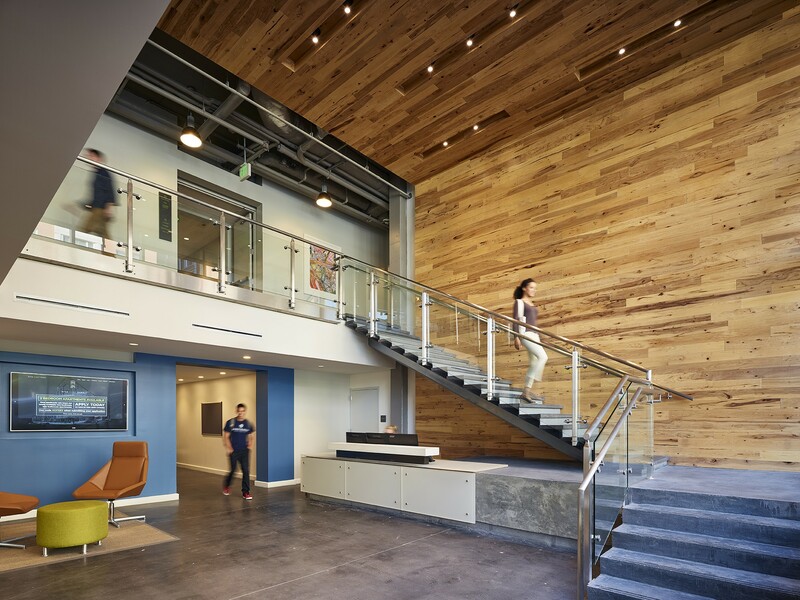 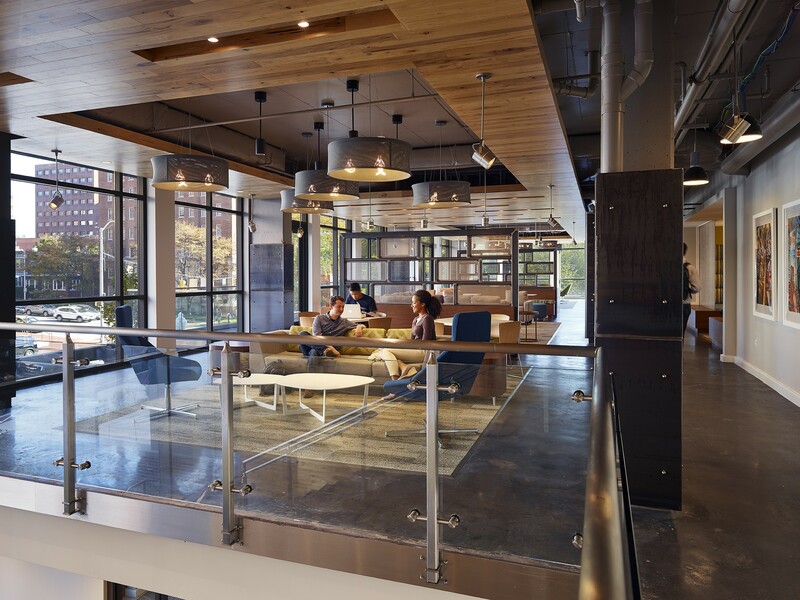 Green roofs, high performance glazing, LED lighting and a VRF heating and cooling system have been used to spearhead a sustainability program for the building. 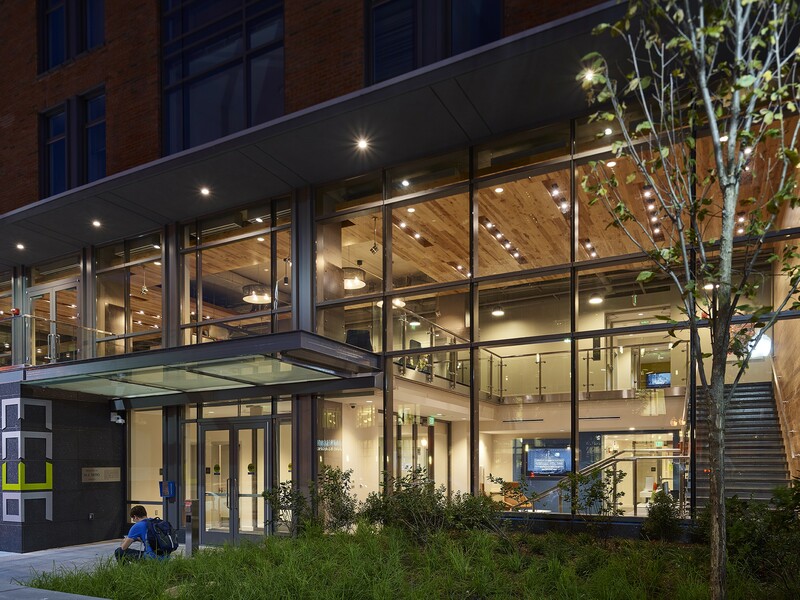 Additionally, material selection for low VOC content and local sourcing, robust building insulation, use of an air and moisture barrier in the facade and bike amenities for both retail and residential uses have afforded the project a LEED Silver designation.